Alright. Are you ready? 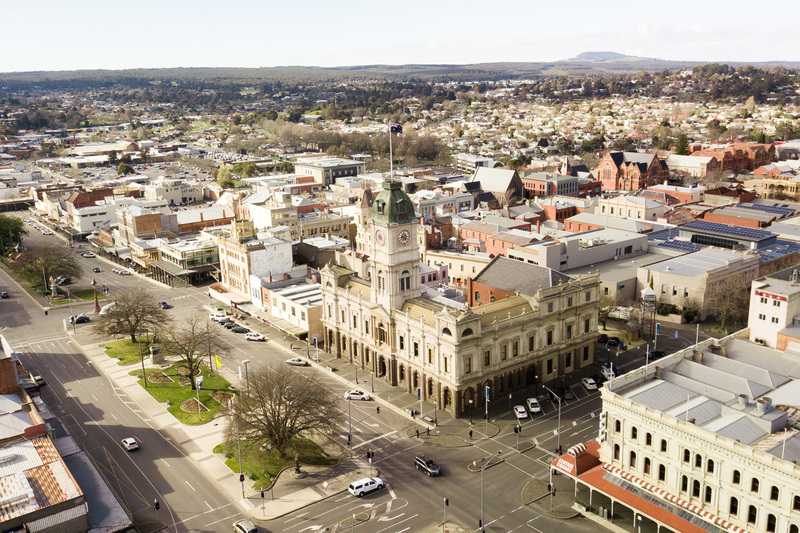 Because we're about to unravel 10 of the best things to do in Ballarat, as well as where to eat and stay in this charming country city northwest of Melbourne. I've lived in Melbourne for 15 years and it's slightly embarrassing to say that the last time I visited Ballarat was in 9th grade when we went to Sovereign Hill as part of a class excursion.. And, I legit thought that was the extent of Ballarat. It gets even more embarrassing. I mean, I didn't even know that Sovereign Hill was a Ballarat attraction for tourists - I harboured the belief that it was an Amish village because I clearly watched too many American Hollywood movies as a kid. I'm not even kidding. I flunked that class in high school. Fast forward 15 years and I was back in Ballarat to redeem myself. A little wiser, definitely not any maturer. At least, I know that there's more to Ballarat than Sovereign Hill now. So much more. In fact, I'm going to blow your mind with the number of fun things to do in Ballarat (with or without kids). Dainty little city, ain't it? 1 Why Visit Ballarat, Australia? Why, to be a gold digger of course. The only place in the world where it's socially acceptable to call yourself that. Put that in your email signature. 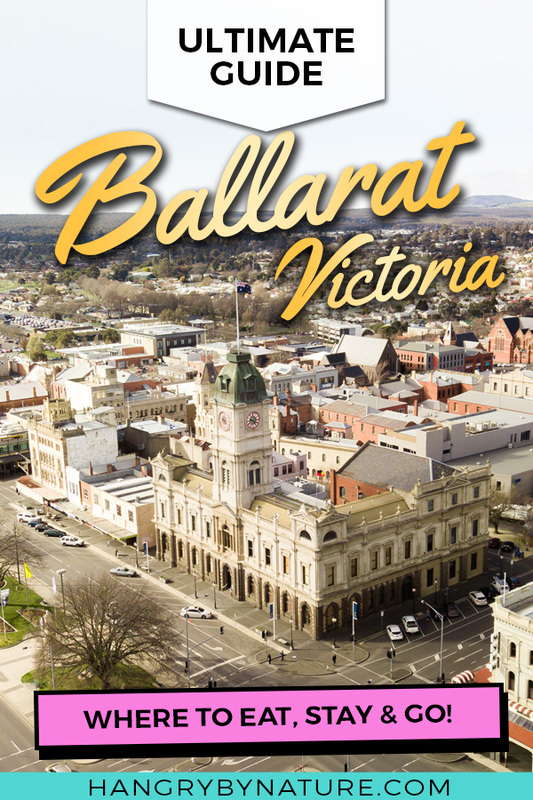 Ballarat gained worldwide fame for being one of the biggest gold-producing cities during the time of the great gold rush, contributing largely to the 80 million ounces of gold that was mined in Victoria over the last 150 years. At today's gold price sitting at roughly $1,150 per ounce, it would amount to $80 billion. Like, whoa. With that kind of cash, you'd never hear me complain about the exorbitant price for avo on toast in Melbourne again. Gold played a huge part in moulding the city into what it is today, but there is so much more to Ballarat than all that glitters. Enveloped by stunning landscape and rolling green hills, it's also home to a myriad of attractions tailored to all ages, as well as delightful eateries that will blow your tastebuds away. Teaching my kid all the right values in life. Be a gold digger. On the real though, they wouldn't put a 10kg gold nugget on public display, unmanned - would they? Cos, clearly, people like me would come along and do questionable things like this. But, issit real though? Cos I'm actually considering coming back with a ladder and crowbar. Ballarat gets cold. Not just 'throw-on-a-jacket-and-you'll-be-right' kind of cold, but a bone chilling freeze 'that-will-turn-you-into-a-White-Walker' kind of cold. Sorry for the Game of Thrones analogy but I need you to comprehend the level of cold. So, if you're headed to Ballarat in winter, best to pack your thermals, Ugg boots, and down jacket. Throw in some mittens, too. Of course, it also gets pleasantly warm in summer averaging around 25 degrees Celsius between January and February. The best time to visit Ballarat is from December to April. Shops in Ballarat Central are closed on Sundays. We got confused for a minute when we strolled through the pedestrian walking street and there wasn't another soul in sight. Were we in the midst of a zombie apocalypse? Was there an evacuation we weren't aware of? Nope, it was just a quiet Sunday. Much like in Europe, people catch up with friends and family or just chill out before the work week begins again. Supermarkets and shopping centres open every day. 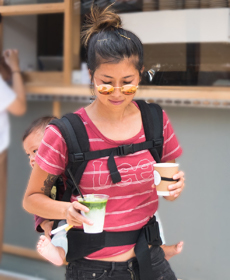 The Sunday rule doesn't apply to these places, so safe to say, you can stock up on snacks, drinks and other necessities every day of the week. Make a cuppa and grab some Tim Tams - we've got a long and exciting list of activities to get through because there's so much more to Ballarat than meets the eye. Trust me, you're going to be booking the next trip to Ballarat by the end of this. Leggo. What's the first thing you do after you check into your hotel or Airbnb? Scope out the area. Get onto some R&D. See wussgood. Wander around the city centre, look up in awe at the century-old architecture and picture what the hustle and bustle would've been like during the gold rush era. Don't forget to pop into one of the many yummy cafés and eateries for a bite. Pose with statues along Sturt Street and learn about the faces and stories behind them. This might be the perfect time to whip out the selfie stick and snap that #StatueSelfie. 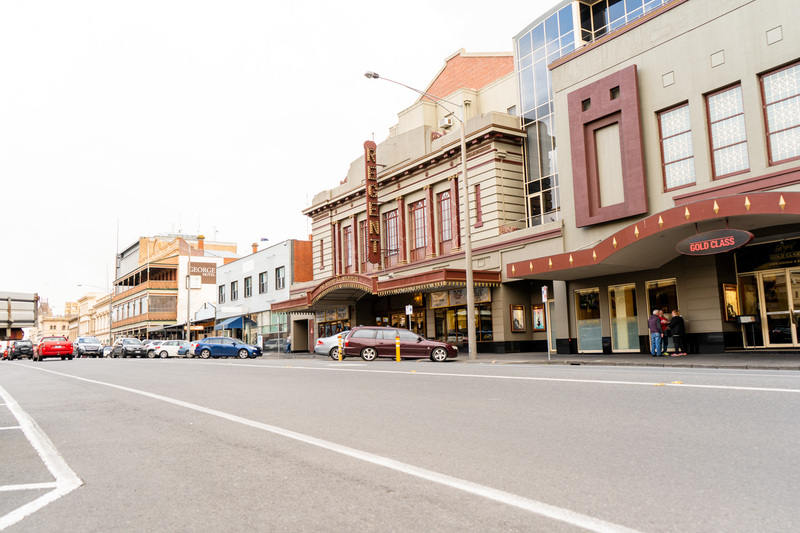 Discover the 140-year old Her Majesty's Theatre, capture photos of the grand Town Hall, fill up on some caffeine along the way or pop into one of the many eateries dotted along Sturt Street. Catch a flick at Regent Cinemas built in 1938. Once your bellies are full and the caffeine has kicked in, make sure you pay Australia's oldest regional art gallery a visit. The gallery features a variety of classical and contemporary exhibitions housed inside a gorgeous heritage-listed building. Oh, and guess what? Entry to the permanent exhibitions is free. I don't know about you, but whenever I hear the word 'free' I'm all over it like white on rice. Don't forget to try the selection of cakes served at the on-site café - get your munchies on while admiring masterpieces by Australian artists. For more info, visit the Art Gallery of Ballarat website. You know what stunned me about this place? No tacky costumes and pretend sword play. The fighting is pretty darn legit. 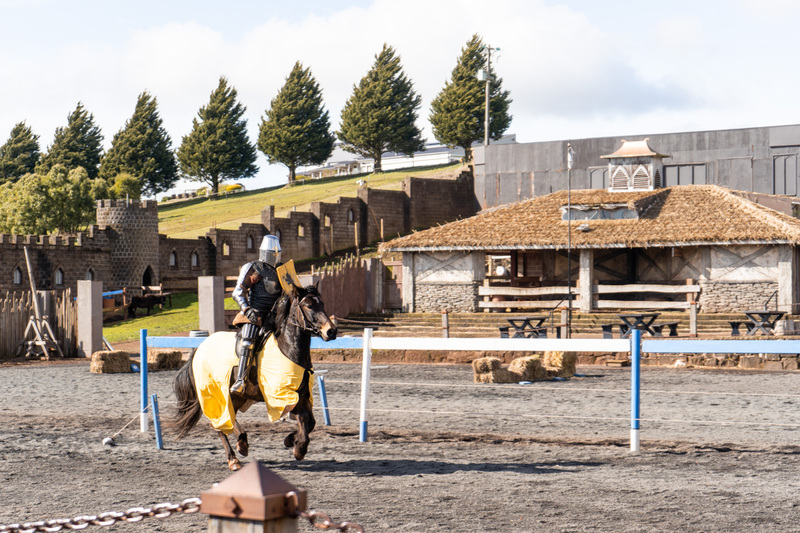 Watch groups of knights battle it out at the Tournament Arena and witness a Royal Joust unfold before your eyes as stunning warhorses charge and strike their opponents with lances. Suitable for all ages - this is a must-visit attraction for anyone who's fascinated by knights, wizards and castles - an experience that is completely unique to Ballarat. 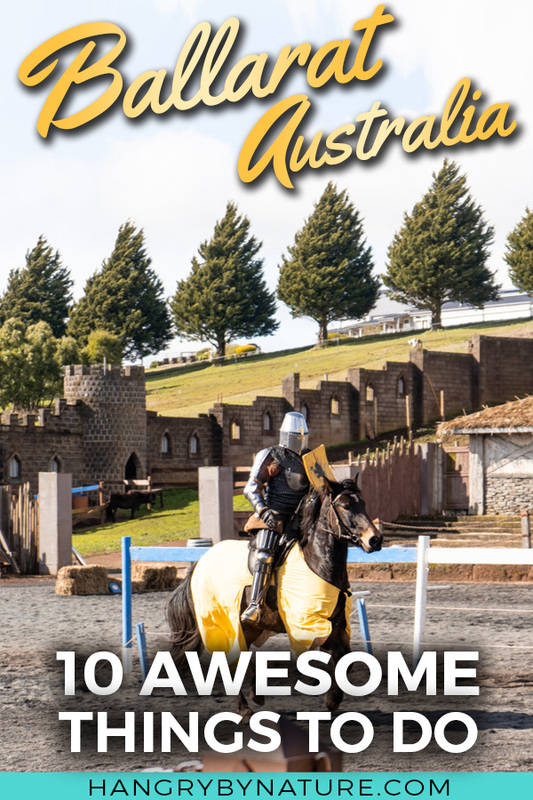 Moreover, visitors can snap selfies with majestic knights mounted on horses, take sword fighting and archery lessons, or participate in arts and crafts classes. Prepare to have a jam-packed, fun-filled day exploring dark towers, mazes and torture chambers that will have you booking your return trip in no time. If you're a real die-hard castle fan, you can even stay the night - Kryal Castle offers 21 on-site suites built within the walls offering modern amenities (sorry, no drop toilets). For more information on activities and classes, take a look at this in-depth Kryal Castle guide. For more info, visit the Kryal Castle website. 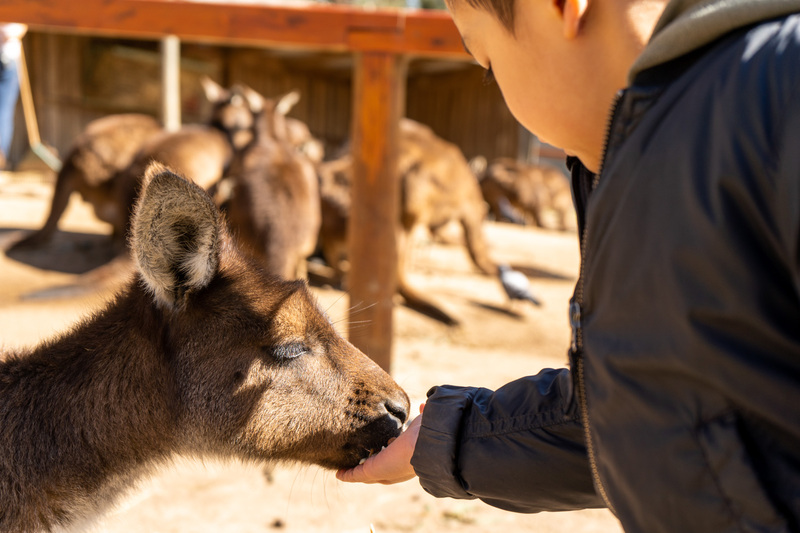 A sure hit for curious little ones who love animals, this incredible Wildlife Park is a family-run business that is home to over 100 free-roaming kangaroos, wombats, koalas, scaly reptiles, and even adorable penguins. The 'roos and wallabies are super friendly - make sure you buy a bag of seeds at the ticket office so you can have a go at hand feeding these cuddly creatures. Observe gorgeous little Joeys climb in and out of their mum's pouches, chase after llamas, or even admire the enormity of a giant 5-metre long croc called 'Crunch' who is over 60 years old. Oh, and if you want to see the real deadly animals of Australia, be sure to pop into the reptiles exhibition. More info, visit the Ballarat Wildlife Park website. Ballarat even has an extinct volcano - bet ya didn't know that, did ya? Grab the car and drive 20 minutes south and you'll stumble upon Mount Buninyong, rising 745 metres above sea level. Seriously, how cool is that? Make sure you climb up the tower for stunning views over Ballarat. It's also the first place to make contact with snow in the winter, so if you're headed there in the chillier months - take the kiddos up for a snow fight. The number one Ballarat attraction - a visit isn't complete until you can tell friends and family that you've tried (and probably failed) panning for gold. I mean, let's be real - there can't possibly be many specks of gold left after so many decades and thousands of visitors panning down the same water stream - can there? Just another day in Ballarat panning for gold. You know how it is. Stepping into Sovereign Hill is like entering a Time Machine - the doors open up to life as it was in the 1850s. You will be hurled right into the middle of the 'greatest alluvial gold rush the world has ever seen'. The place is a living museum, kind of like the movie Night at the Museum but without the wild prehistoric animals out to eat you. Live actors dressed as street sweepers, colonels and miners waltz through town playing their parts. Visitors can interact with them or even help them with their quests. There's an exciting adventure to be had around every corner. And, who knows? You might even get lucky and dig up a golden nugget (although the McDonald's variety is probably more likely). 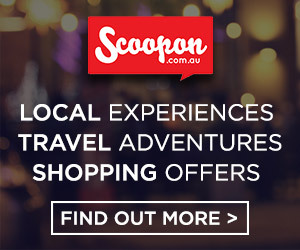 For more info, visit the Sovereign Hill website. 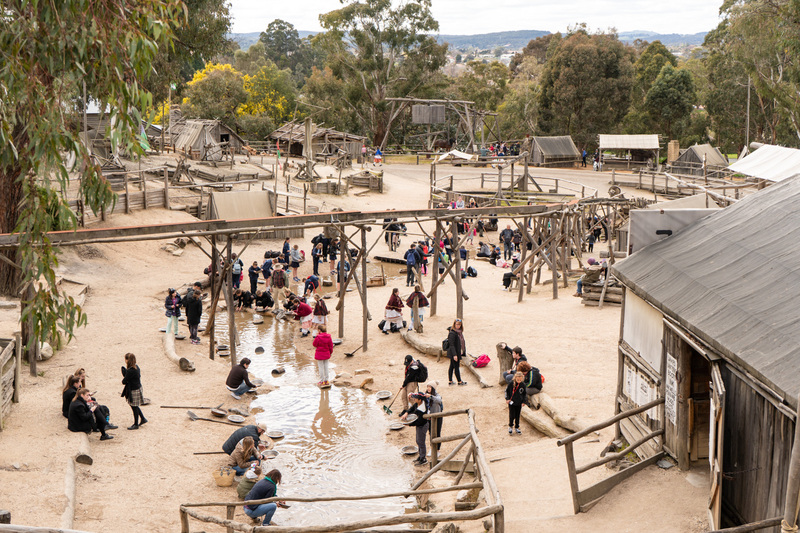 Think you're done with gold after vigorously panning and clambering your way through mines at Sovereign Hill? Nope. Na-uh. There's more. Plus, it's included in your Sovereign Hill so you've nothing to lose. A must-visit if you want to see a historic collection of photos from the great gold mining era, and if you want to grasp the idea of just how big some of the most famous gold nuggets were. Plus, get up close and personal to pieces of history - dresses and corsets, mining attire, and jewellery - don't miss out on this educational museum located right across the road. For more info, visit the Gold Museum website. 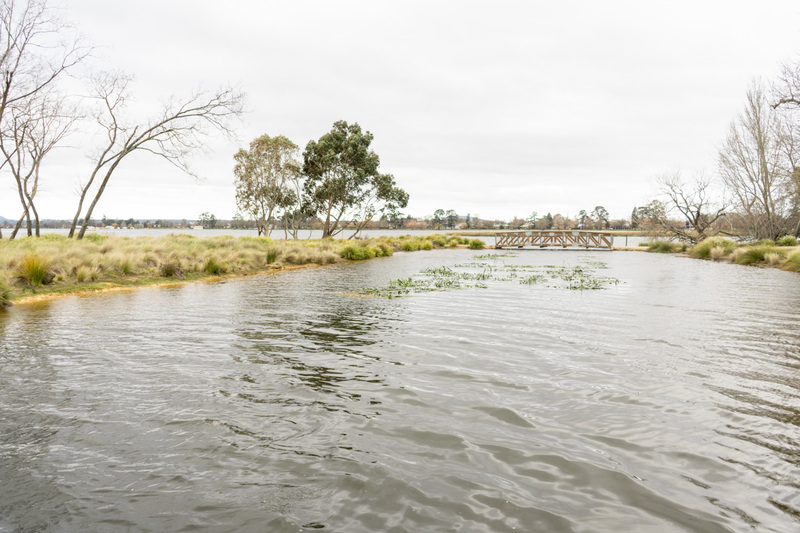 For more free things to do in Ballarat, pop into the Tramway Museum on your visit to Lake Wendouree and the Botanical Gardens. Hop in and out of classical trams that once glided through the streets of Ballarat and learn about their history. Although there is no entry fee, the museum is run by volunteers and they deeply appreciate any small donations visitors can spare. For an extra $5, you can jump on and get taken for a ride up Wendouree Parade to admire the sights and lake from the comfort of a tram. For more info, visit the Ballarat Tramway website. 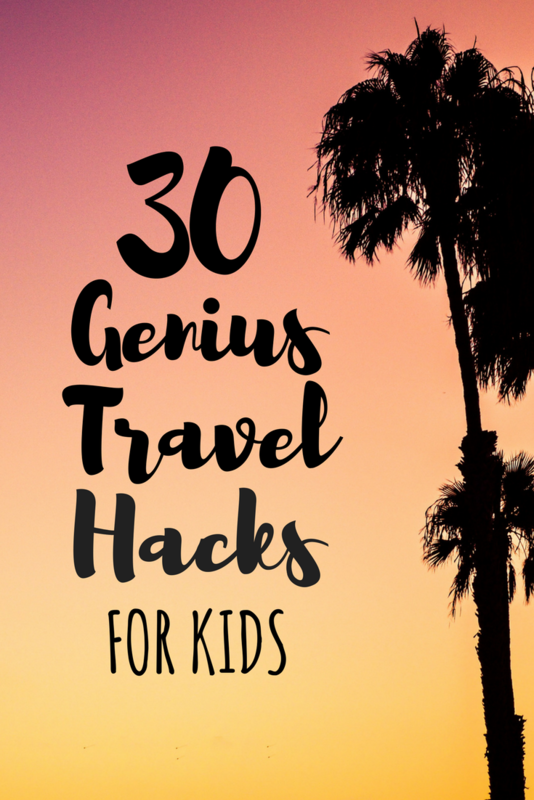 Planning a trip to the Great Ocean Road? Uncover 7 Hidden Gems (Other Than The 12 Apostles). 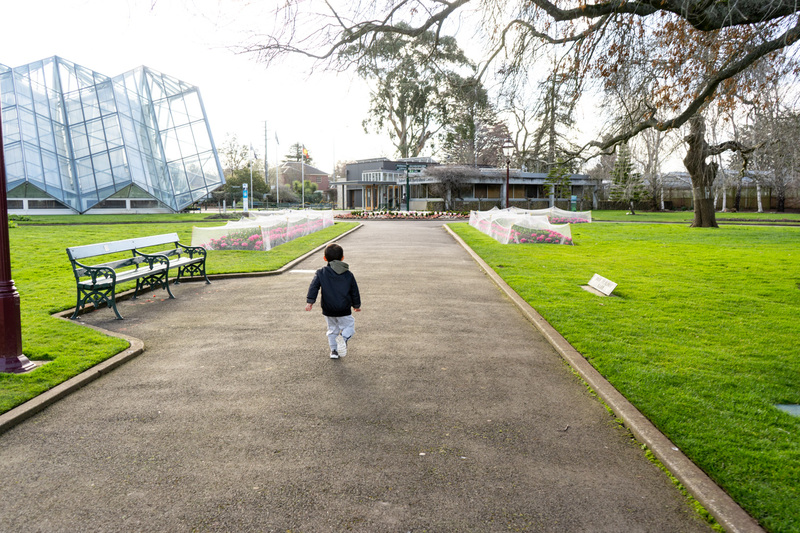 With a heap of green grass to lie down on, soothing natural scenery, curious bird life, and playgrounds to entertain little ones - this is a top natural Ballarat attraction for locals and visitors alike. There's a wide range of sights scattered around the lake - this is where you can truly slow down down your pace, smell the flowers and stroll along the 5.5km track to soak in all that the lake and its surroundings has to offer. It's the perfect location for a summer BBQ or picnic where you can watch the sun set over the glistening lake and observe as the stars come dotting out of the night sky.. BUT, winter visitors, beware - you can also freeze your cheeks off as soon as the sun nods off for the day. Bring blankets. Looking for serenity? Look no further than Lake Wendouree. When you're done with Lake Wendouree, cross over to the Ballarat Botanical Garden where you can idle away an hour or so to admire colorful flowers, and dawdle along the Prime Ministers Avenue to get schooled on our short political history. Don't miss out on the Conservatory tucked at the back of the gardens for seasonal displays of unique and exotic plants grown inside the nursery. For more info, visit the Ballarat Botanical Gardens website. Roam through Ballarat Botanical Gardens opposite Lake Wendouree. Much to my dismay, we weren't in town during a festival or special events but we still managed to fill our itinerary with a whole heap of fun and exciting activities. Despite being a small city with a population of under 102,000, the events calendar is packed with activities each month. Pop into Ballarat Events to see what's coming up. Summer Sundays (January) - kick back to live music brought to you by local, regional and metropolitan acts while basking in the summer sun. Australia Day (January) - celebrate this special event by the banks of Lake Wendouree and witness the city put on a spectacular fireworks display. Ballarat Backyard Tasters (February) - enjoy groovy music, scrumptious food, and all-round good vibes at this annual summer festival held at Alfred Deakin Place every summer. ANZAC Day (April) - visit on this long weekend to pay your respects to veterans, servicemen and women at services held around the municipality. Children's Week (October) - a week-long celebration packed with a mix of fun activities for children and families. Christmas in Ballarat (December) - experience Ballarat come to life with Christmas decorations breathing life into the streets, with the highlight being Sturt Street's floral reindeer attractions that draws visitors from near and far. If you're a breakfast or brunch nut like most humans, then you can't miss out on the seasonal menu at L'Espresso in the centre of Ballarat. We enjoyed it so much that we actually went there twice - even my parents loved it and they are the harshest food critics you'll ever meet (save for Gordon Ramsay). Try the Pancakes, Lamb Fry or Eggs Benedict if you're there for brekky or Confit Duck Leg and Prawn Pasta for lunch. For dinner, get a taste of Spain at Meigas - spread the love and share a variety of mouthwatering tapas dishes to feed your soul. Sink your teeth in Garlic Prawns, Spanish Rolls and melt-in-your-mouth Serrano Ham. But, of course, pizza is always a winner for the little ones. If you're stuck with a bunch of picky eaters then head into The Forge for a hearty meal where no slice pizza will disappoint. For more food recommendations, take a look at this list of 8 delicious eateries in Ballarat. 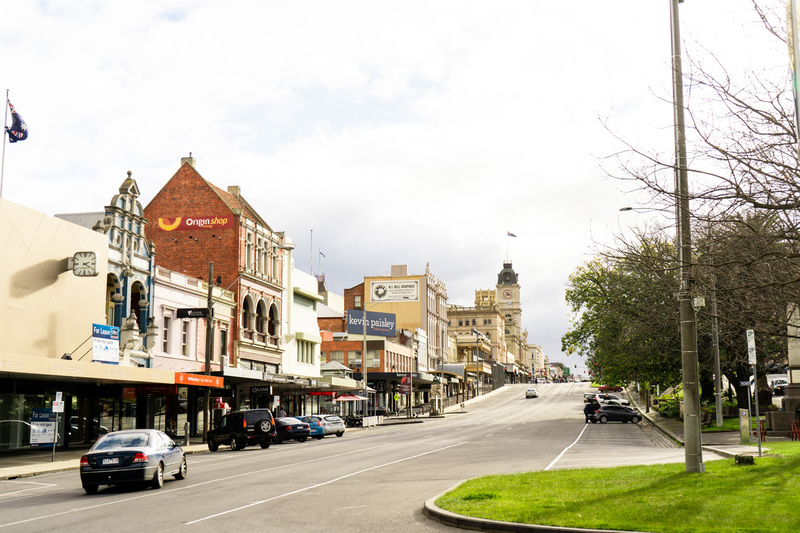 Ballarat is conveniently located in northwest of Melbourne CBD, nestled between Bendigo and Geelong. It's an easy 110km journey from the city by car or train. 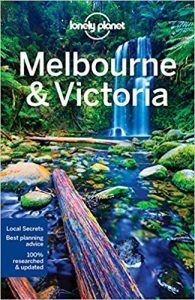 Driving to Ballarat from Melbourne: Hop on the Western Freeway and drive up for 90 minutes until you hit Ballarat. Literally can't miss it. Coming to Ballarat by Train: Jump on the V/Line train for a direct connection from Southern Cross Station. Kick back, relax and enjoy the scenery. Looking to rent a car in Melbourne? Find the best rates below. Super friendly hosts? Check. Fully equipped kitchen? Check. Endless space for kids to run around? Check. Netflix? Check. 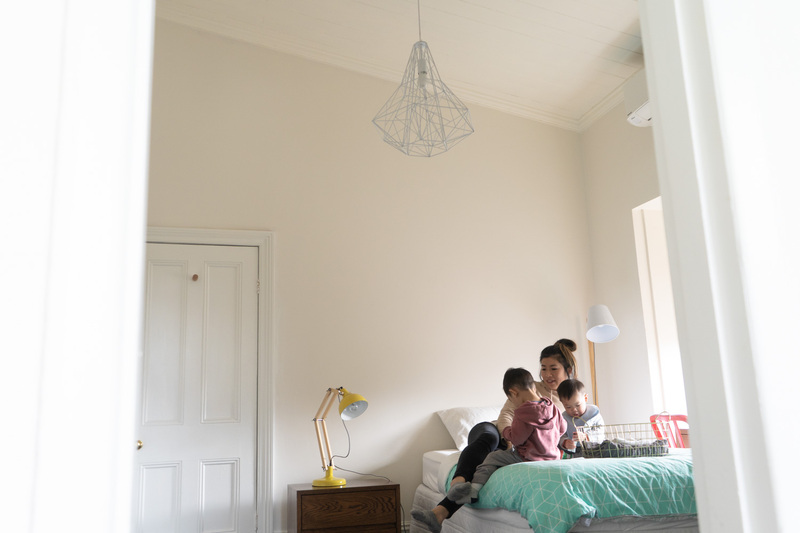 Lascelles Ballarat provided the perfect space for our wee little family - it's basically what Victorian townhouse dreams are made of. We stayed inside the luxury 6-bedroom townhouse which we shared with my parents. Even then, we didn't manage to occupy all of the space that was available. This spacious home could easily accommodate 3 families. This lovingly restored Victorian townhouse that oozes style and class is tucked in a quiet residential street a short 10-minute stroll from Ballarat Central. But, don't be fooled by it's classic facade - inside, you'll find all the modern amenities that a city gal like me could ever hope for. Lascelles features a Nespresso machine with pod options to suit all levels of tiredness (a must for parents), a beautifully equipped kitchen, and a glass-constructed extension at the back perfect for enjoying a cuppa whilst soaking in the surrounding scenery. Oh, and I did mention that there's Netflix. Like, built into the goliath-sized smart TV in the living room. My life (and the kids') was pretty much complete. A warm cuppa and a book in this space, anyone? There was a time where Andy and I lived up the hotel life everywhere we travelled, but sadly, that time has come and gone. These days, we're all about finding Airbnbs with amenities and space to accommodate rambunctious little humans, with a place to cook meals (because kids want to eat, like, all the time). 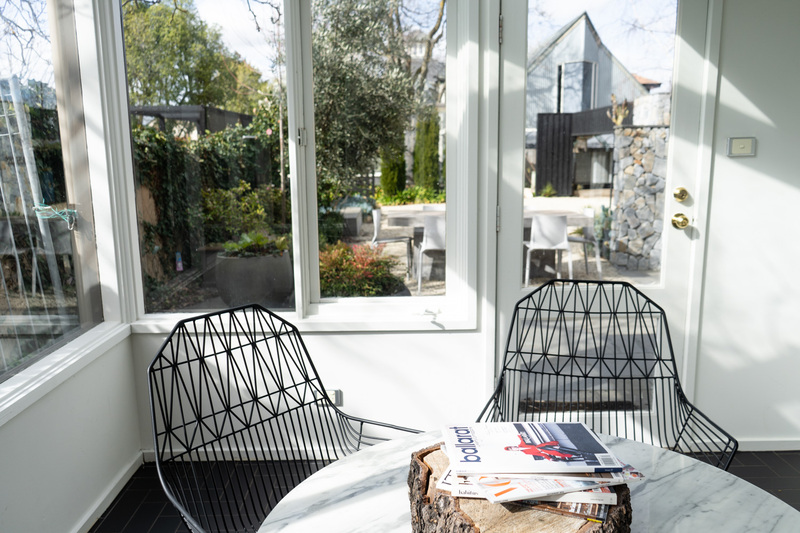 So, if you're off to Ballarat for a weekend jaunt (with or without kids) and looking for those 'home-away-from-home' feels without losing out on luxury - this is most definitely it. A perfect sojourn for couples, families or groups of friends - you can opt to stay in the 6-bedroom house, or book a 2-bedroom place on the ground or top floor right next door. Our stay was graciously hosted by Lascelles Ballarat. All photos, videos and experiences are, however, our own. Take a look at our walkthrough of the ground floor. What does the inside of a 6-bedroom Victorian Townhouse look like? Like dis. And this is only the ground floor ? If you're ever in Ballarat (Australia) , @lascelles.ballarat, you can enjoy this luxurious boutique accommodation for yourselves and get a feel of what it's like to live inside one of these classical homes. . . And, yes. I've officially named the wardrobe inside the Narnia wardrobe. I'm just waiting for the gates to Narnia to open. Like, still waiting ? Would you come to Ballarat for a weekend trip? Tell me in the comments below. Did this guide help you plan your Ballarat trip, or at the very least give you a chuckle? Sign up for more humour & Melbourne guides. 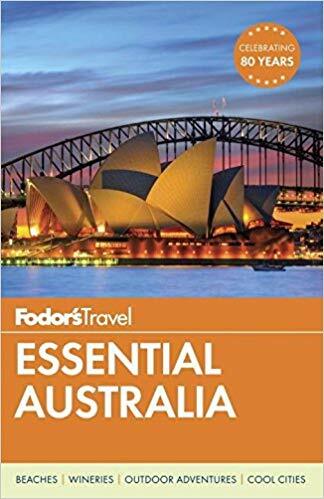 More reasons to visit Australia ! A very european looking place -and amazing pictures capturing the true essence of the place. Loved the details. Saving for later! I loved this!! 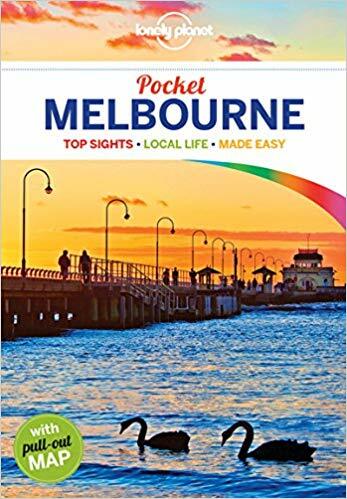 I really wish I had read this before I visited Melbourne, would have made my trip so much more fun. Lovely blog. Love your post about Ballarat! 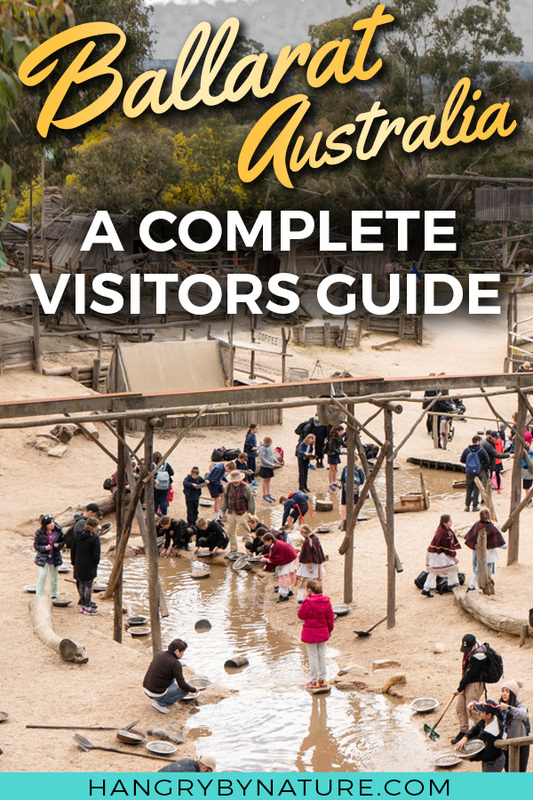 Looks like plenty to see in addition to Sovereign Hill. Haven’t been to Ballaret in many years but your post has inspired me to revisit soon (and your accomm suggestion looks amazing)!